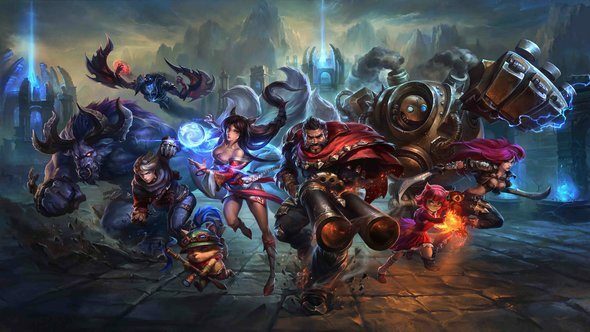 Riot have filed a lawsuit against mobile game developers Shanghai Moontoon Technology for allegedly infringing on the League of Legends IP with three games: Magic Rush: Heroes, Mobile Legends: 5v5 MOBA, and Mobile Legends: Bang Bang. For the best League of Legends champions, hit up our dedicated article. The lawsuit is filled with comparison images, showing similarities between LoL and Mobile Legends: Bang Bang, from map designs to characters and even fonts. When approached by Riot, it is claimed that the defendants made minor changes and name changes, only to re-release their product again. At one point, the game was allegedly removed from the Google Play Store, only to reappear under the new name of Mobile Legends: Bang Bang. “Recently, some media have published negative and unreal reports against Mobile Legends,” Shanghai Moontoon Technology say in a Facebook post. “Mobile Legends is a MOBA game that is developed by Moonton independently, and its copyright has already been registered and protected in multiple countries all over the world. Moontoon has independent intellectual property rights.